If you want to know how to start exercising at 40 years old and above, there are 4 things you should really be thinking about. This is especially true in the early days when you are eager to get going and can easily make mistakes that will destroy your progress rather than pushing you forward. Here, I want to tell you about these four key things, and also educate you on the perfect piece of exercise equipment that will help you achieve your goals. When you hit the forties and decide to make a change in your fitness, it’s all too easy to fall into the trap of thinking that if you do more training, you will get faster and/or better results. While this may be true to an extent (working out once a week is probably not going to get you far) hitting the gym 6 days a week, or going to the gym for 3-hour sessions when you are getting started is probably a bad idea. These are both things you may be tempted to do yourself as well as trying to do too much when you begin but don’t go there. Both of these scenarios are a recipe for injury! As we age, our muscles, ligaments, and joints have a harder time adapting to those kinds of abrupt changes, so bring them back up to speed slowly. Likewise, if you miss a session don’t beat yourself up over it, you’re not a pro athlete. Just try not to make a habit of it either. Slow and steady really does win the race when you get started and it’s not the end of the world if something comes up and you can’t fit in your workout. A better plan would be to simply juggle your weekly routine slightly. Let’s say your training plan calls for you to work out Monday, Wednesday, and Friday and you miss Wednesday. Could you simply change the workouts to be Monday, Thursday, and Saturday for that week and then continue as usual the following week? No big deal and you’re still right on track right? Are You Working On Flexibility? You and I both know that if you want to get in and out of the gym quickly then flexibility work is probably going to be the first thing that falls by the wayside. 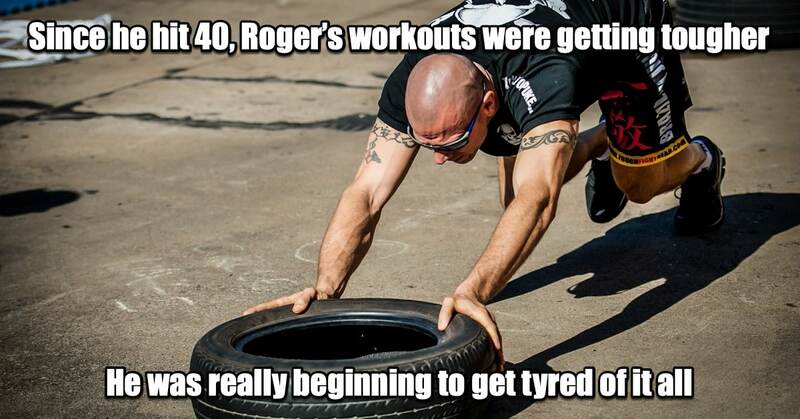 In your forties and beyond however this aspect of your training is more important than ever. For those in the middle to older age ranges, performing a dynamic warm-up which includes optimal stretching will do more to ensure a successful workout than doing more sets or reps. It will prepare your body neuromuscularly to perform at a higher level which will help you to perform good quality sets. If you are not warming up and communicating to the body that it is about to get put through its paces, you pre-expose the body to injury as a result of not having prepared the soft tissue and an optimal range of motion. Stretching with bands is a great choice for this as it not only lengthens your body effectively, but it also provides the proprioceptive feedback needed to effectively activate your core and peripheral muscles pre-workout. So we spoke about doing too much, but on the flip side, it is fine to work out hard if you have prepared and progressed your body for training. this holds true no what age group you belong to. The caveat here, however, is to make sure the body parts you are exercising are fully recovered from your last high-intensity workout before starting the next one. As the body ages, high-intensity workouts must become less frequent but not necessarily less intense. There is no question that with age, there will be a decrease in the amount of force your muscles can produce but intensity relative to your perceived level of exertion can remain similar to a younger body. Also with muscle maturity, high-intensity workouts do not require high forces to challenge the body. This is another good reason to train with bands. Training hard with bands is less traumatic to the body and provides a buffer for those that need an intense workout more often. Also by simply changing the tension of the band you can still implement high-intensity total body exercises like deadlifts, presses or sprinting (yes, you read that right, sprinting) while avoiding the same force on your joints that training with regular weights creates. Another aspect of training that you might not have considered are drills to keep your body athletic. If you get back in shape after 40 or more, the goal of training should be to continually do drills that keep the body moving athletically. The problem with most over 40 training plans is that the exercises are single plane and call for little in the way of dynamic stabilization and challenges of mobility. Band exercises like skipping, jumping and shuffling along with power based exercises that require whole body involvement will help you to sustain your athleticism. Remember that Power = Force x Distance / Time. Focusing on time (or speed of movement) more than the force component, allows lets us older guys remain athletic without having to put our joints through excessive trauma and also reduces the risk of injury. Allows you to keep training yourself aerobically. Both of these points are key concepts if you want to stay athletic. Hopefully, these few facts have helped you to learn how to go about starting exercise plans at 40 and over in a safe, yet effective manner. There is no single best workout for a 40 year old man, you need a combination of approaches to get the best results. Incorporating fitness band training into your workouts will help you stay athletic and flexible, all while getting in intense workouts that will serve you for a lifetime. 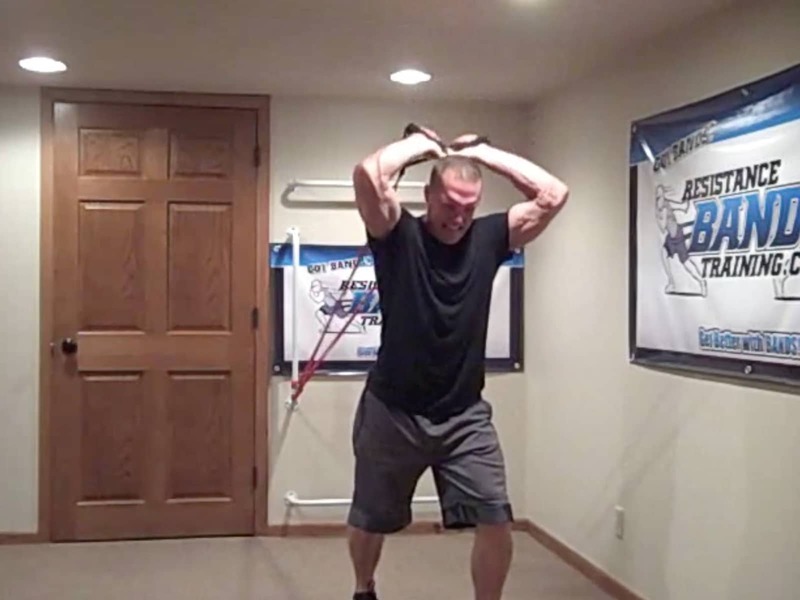 Dave 'The Band Man™' Schmitz, PT has been writing, teaching and training how to implement resistance band training for rehabilitation, fitness, and performance since 1996. 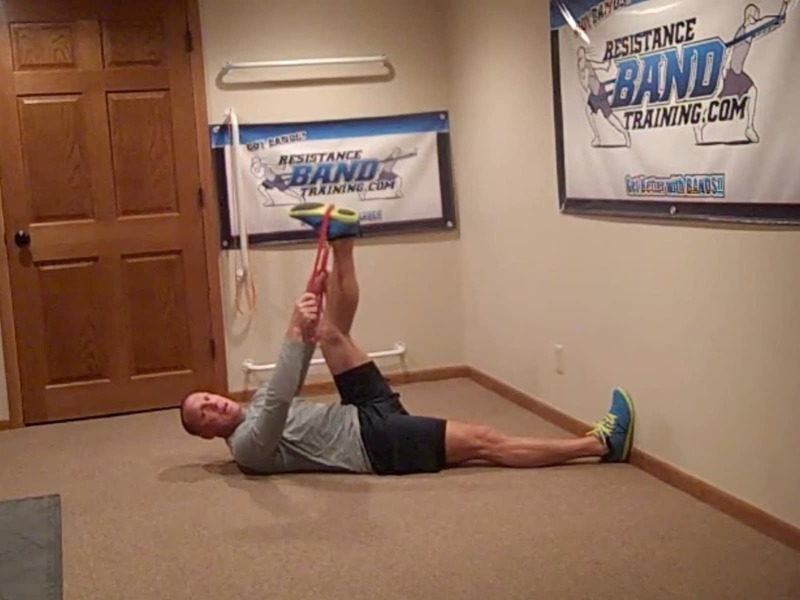 In 2008 Dave founded Resistance Band Training Systems, LLC and with that launched ResistanceBandTraining.com, the only online website exclusively devoted to training with continuously looped Quantum Resistance bands.